There was a time that wireless headphones were unaffordable for most average consumers and I had to pay more than $100 for a pair. I couldn’t imagine budget wireless headphones would be available that early, I’m testing some in-ear headphones that cost less than a large pizza. Yes, their prices range from just $10 to $29. Let’s check them out. The Hopday headphones offer many features you ever wanted. They are sports headphones that are sweat proof, equipped with a microphone to answer phone calls and support high-quality the aptX audio codec. Inside the simple packaging, you can also find a USB cable for charging, user guide and many ear tips of different sizes. The existing ear tips fit perfectly in my ear canals, so I didn’t have to replace them. The earphones stay sturdy and comfortable on my ears, I don’t feel anything after wearing them for an hour. The deal seems too good to be truth, right? However, you should expect some downsides, just like any other budget headphones. Firstly, there is no clothing clip, so you should be careful when hanging the headphones around your neck. Secondly, the battery life is quite short, it could last just over 4 hours of continuous music playing. Next, the Bluetooth connection is inconsistent, the music gets interrupted sometimes when I’m running and I lose the connection when I’m just 15 feet away from my phone. Besides, the audio quality of the Hopday is just average. It delivers a better bass than most stock earphones but that’s all. The bass overwhelms the rest of the music and the mids get lost sometimes. I also don’t enjoy the dull and unpleasant treble sound. 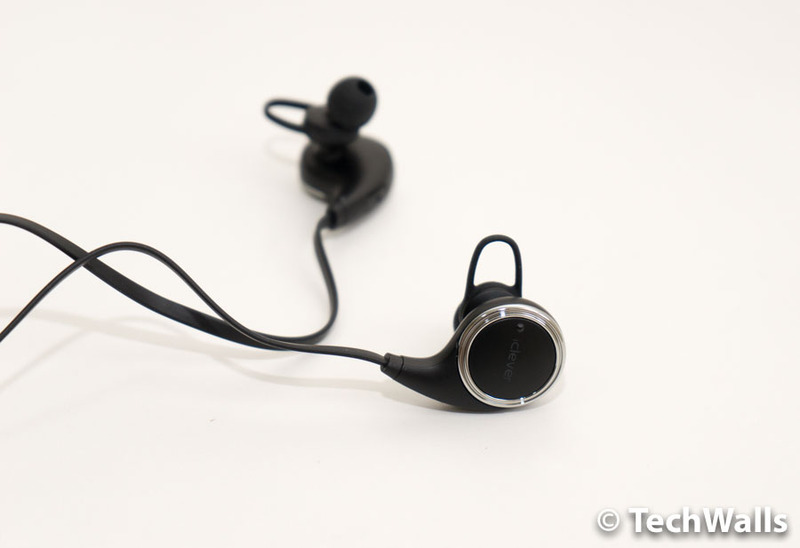 The TOTU headphones have a similar design and features as the HOPDAY. The mini-USB port and buttons are still located on the right ear piece. The box is the same with different ear tips and a short USB cable. I also find the earphones are very comfortable for my ears, they fit snugly and stay stable when I exercise. 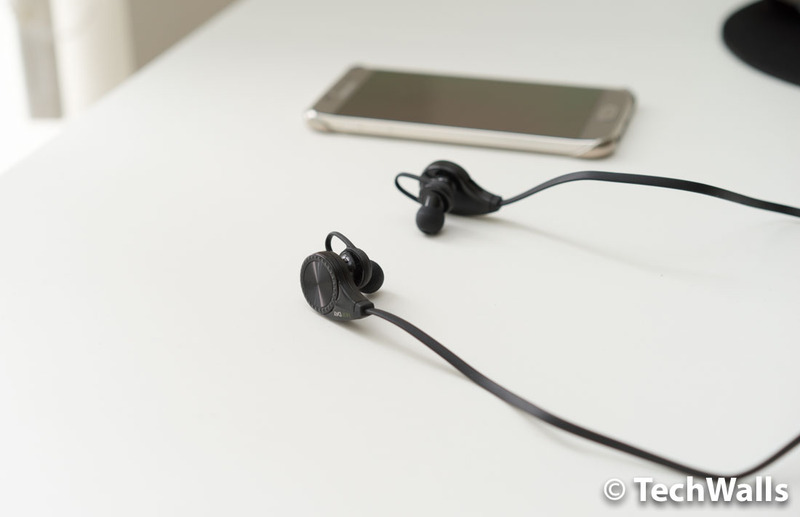 The TOTU headphones feature similar technologies like aptX codec, Bluetooth 4.0, a built-in microphone and a sweat-proof design. Unfortunately, they have the same problems as other low-budget headphones. They have a short battery life and a weak Bluetooth connection, those issues really ruined my music experience. This is quite disappointing because the audio quality is actually impressive. These are one of a few cheap headphones that offer decent sound. The bass is slightly boosted to make your music more enjoyable without overwhelming the overall sound. I’m surprised that the mids and highs are fairly clean and present. There is just a little distortion when I crank up the volume and the treble is slightly recessed. If I don’t look at the price, I absolutely think I’m listening to a $60-$70 pair of headphones. The iClever is my favorite headphones in the list. It sports Bluetooth 4.1 chipset, A2DP 1.2, AptX technology, built-in microphone and slightly longer battery life. Notably, the design and build quality of the iClever headphones will surprise you, no one can believe these are cheap headphones. The only problem is that the ear tips couldn’t fit snugly into my ears, they will drop out as soon as I start working out. Fortunately, there is a cord management clip, so you won’t lose them on the road. They are also not really comfortable and I feel that the design is too bulky sometimes. Having said that, the real-life performance of the headphones is impressive. 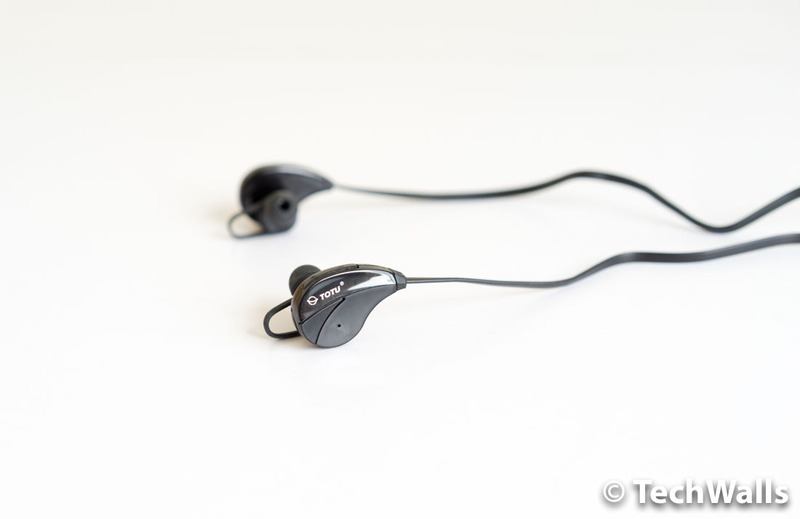 The Bluetooth connection is reliable, the ear tips can block ambient noise very well and audio quality is decent as well. The bass is boosted yet not overwhelming, so you still can enjoy the clear mids and highs. What’s your favorite low-budget headphones? Share with us in a comment below. The QY8 caught my mind. It’s damn cheap for the features. I wonder how you find these earbuds! What do you think of Soundpeats, Tuan?